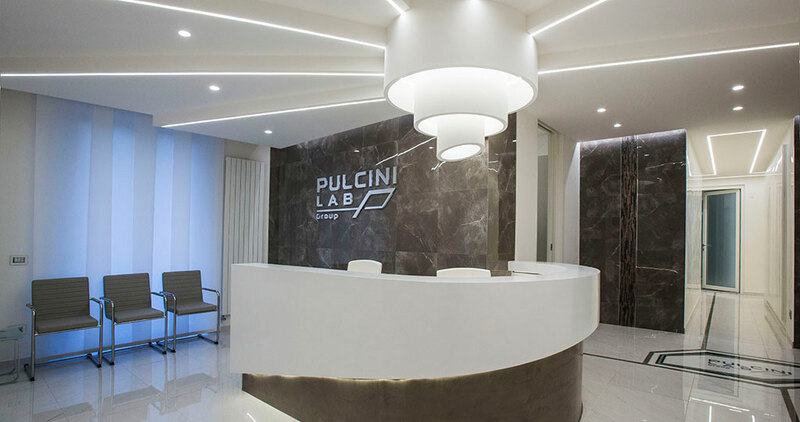 Today, we discover an exclusive and elegant medical studio: the Pulcini Lab, located in one of the capital cities of Europe, Rome. 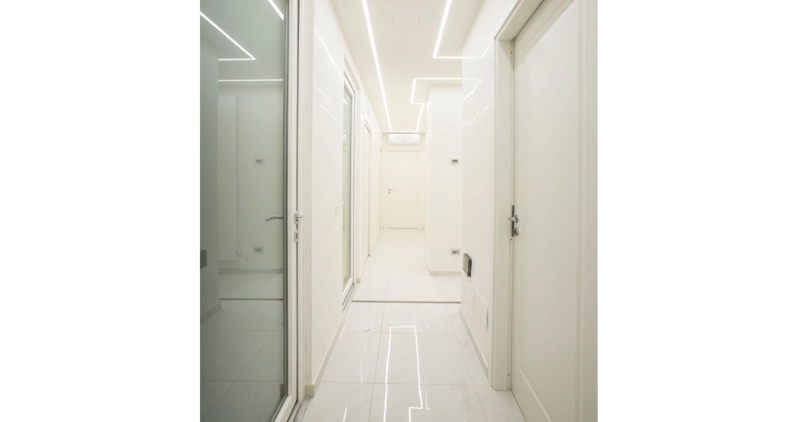 A project that stands out because of its careful interior design, done by the architect, Giorgio Carta, and one in which the PORCELANOSA Grupo has taken part. Carta has banked on the six firms that make up the Group when designing the unique rooms in the medical centre, characterized by an emotional spirit, along with great breadth and luminosity. Just like the architect had wanted to express, the medical studios are often presented as cold and anonymous atmospheres, lacking in warmth. For this reason, Giorgio Carta focused his efforts on returning the emotional dimension to the spaces, with the aim that these could influence the physical and mental state of the patients in more positive way. 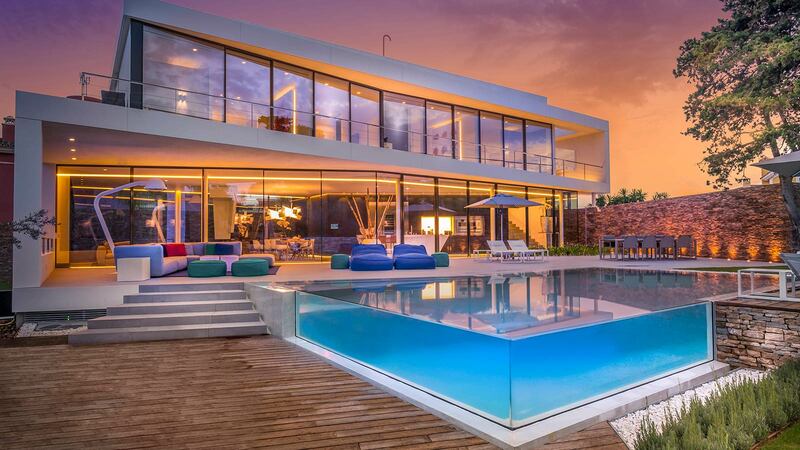 At all times, the principle of functionality was respected in this project, with a significant scenic value. All the boxes in the Pulcini Lab in Rome have a distinct modern aspect, and are seen in a better light in the reception area and the waiting room. The roof opens like a fan, screwed in three cylinders, converging on the counter. The light comes in through the walls, spreading itself out and attaching itself to the cylinders. 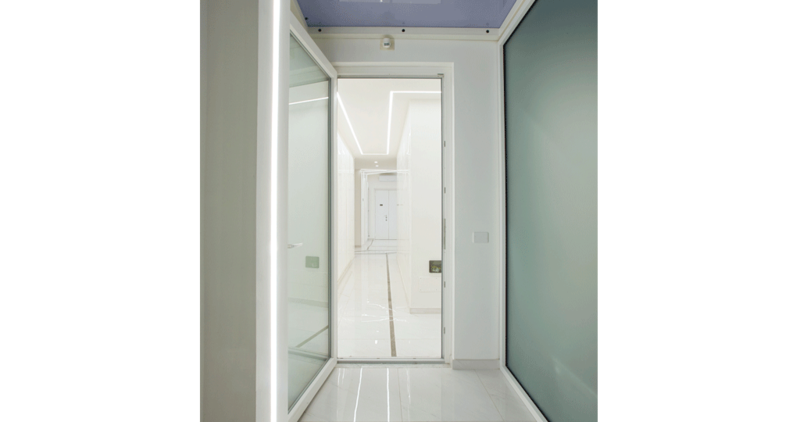 The use of LED lighting is highlighted, which also continues along the corridors, defining spaces and shapes. Regarding the materials, in the hall we find the Soul through-body porcelain tile from Urbatek in two versions, Soul Frost and Soul Stone, both in a polished finish. This full through-body porcelain tile is perfectly suitable for this area thanks to its classic look, which is inspired by marble, in contrast to the cutting-edge look of the atmosphere; and also for being highly resistant and durable even in high traffic environments. The Soul Stone series was chosen for the wall tiles, together with the Harmony Strip Coltan glassy mosaic from L'Antic Colonial. For the flooring, the Polished Soul Frost was installed. Regarding the flooring, the rhomboid plate inserted in marble with the studio logo is highlighted, from whose corners, there are four lines, two of which are the axes which make up the corridors. The rooms in the Pulcini Lab are spacious and sober, with the calmness and serenity which provides the predominant white. A great feeling of lightness was opted for in these areas, using glass and materials inspired by marble for great luminosity. 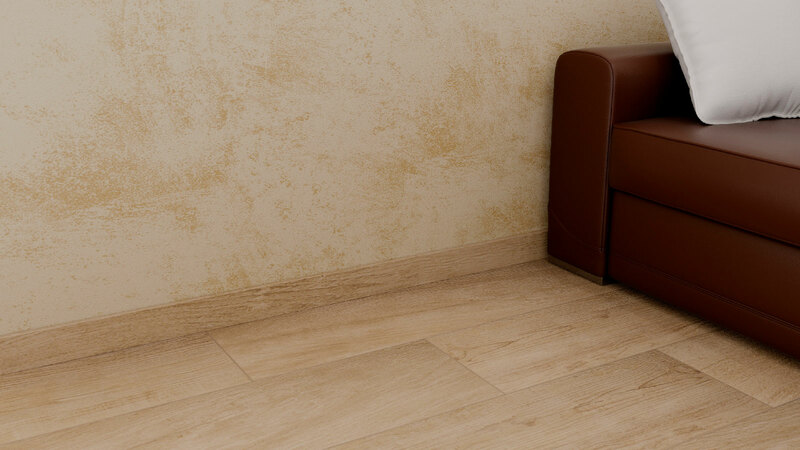 For the flooring, the Soul Frost through-body porcelain tile from Urbatek was again selected, in combination, in each room, with decorated wall tiles. 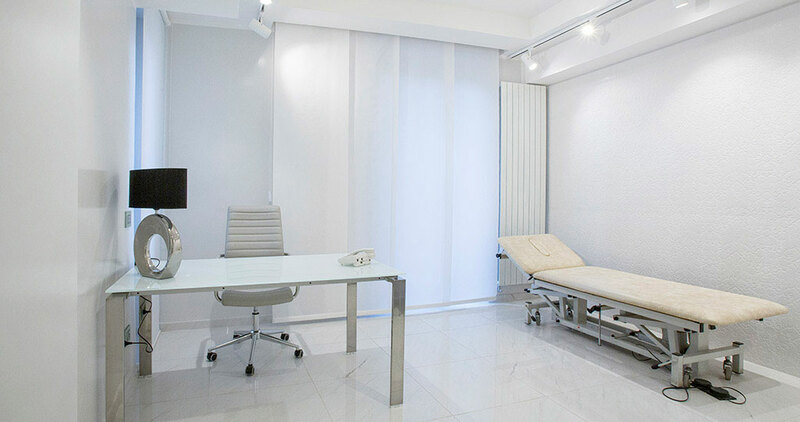 The aim is to provide originality and dynamism to the interior design in a calm and delicate way, without altering the patients' perception. 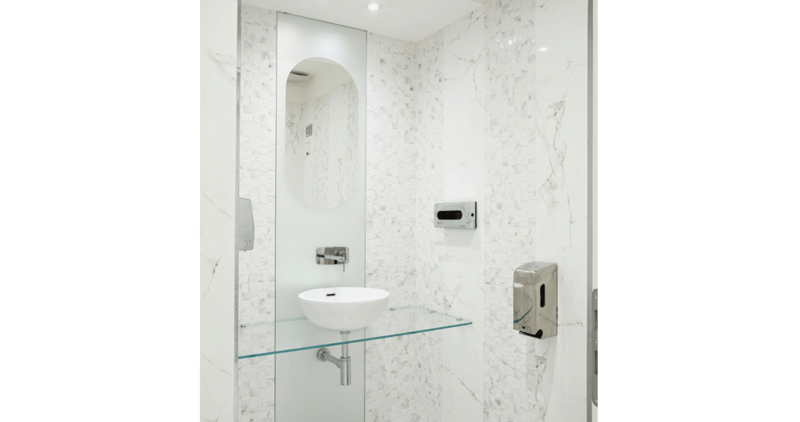 Specifically, the chosen wall tiles were the Menorca Hojas Blanco decorative coating from Porcelanosa; and the Bluebell White, Suede White Matt and Liz White series from Venis. 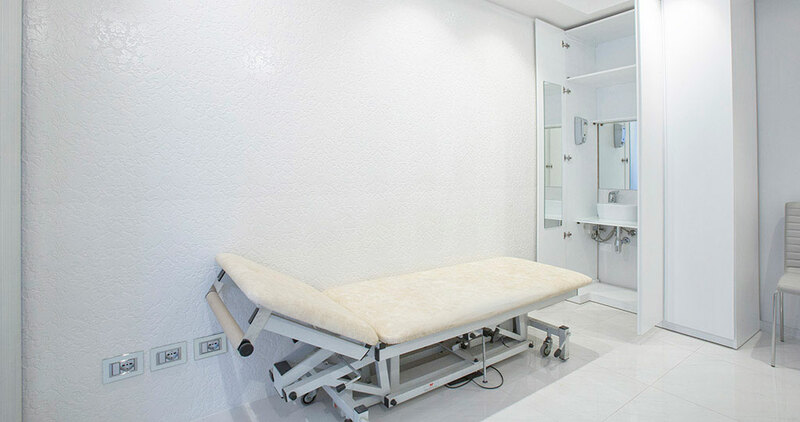 In agreement with the rest of the rooms, the bathroom for the Pulcini Lab medical studio was designed in an exclusive and original way, in tandem with soberness and calmness. 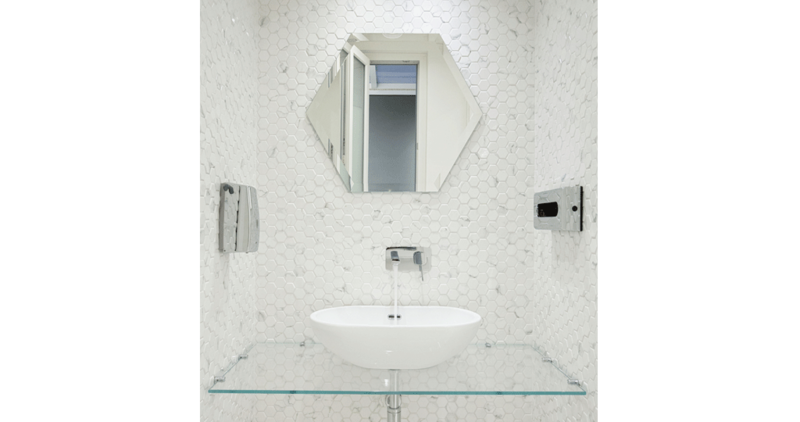 To achieve this effect, a combination of several wall tiles was chosen: the Forest Carrara Blanco mosaic and the Carrara Blanco marble effect wall tile, both from Porcelanosa. 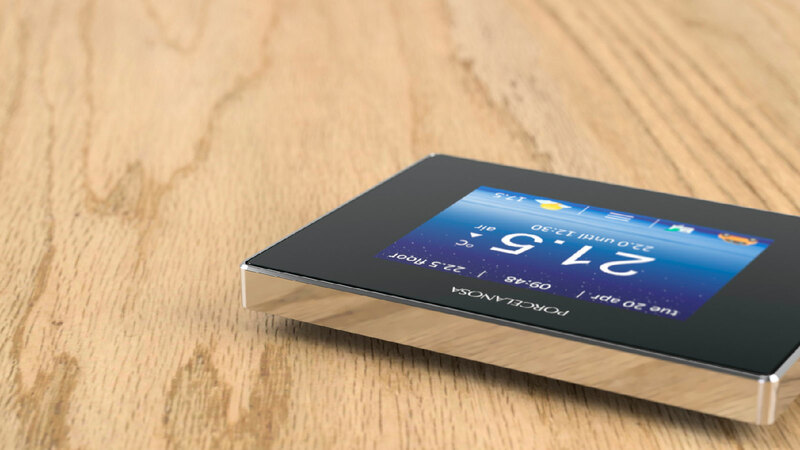 Noken, for its part, was involved by way of its innovative and highly technological bathroom equipment: the Mini Sani single lever taps, the Hotels siphon and the NK Concept single lever mixer shower taps. 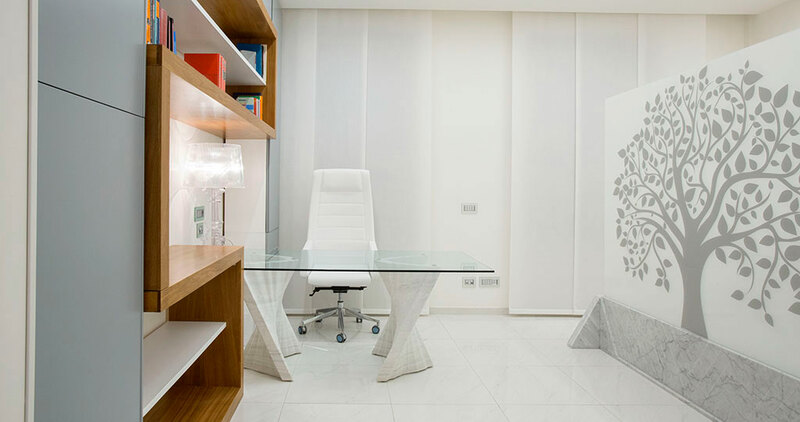 The last firm from the PORCELANOSA Grupo to be found involved this design, by the architect Giorgio Carta, was Butech. 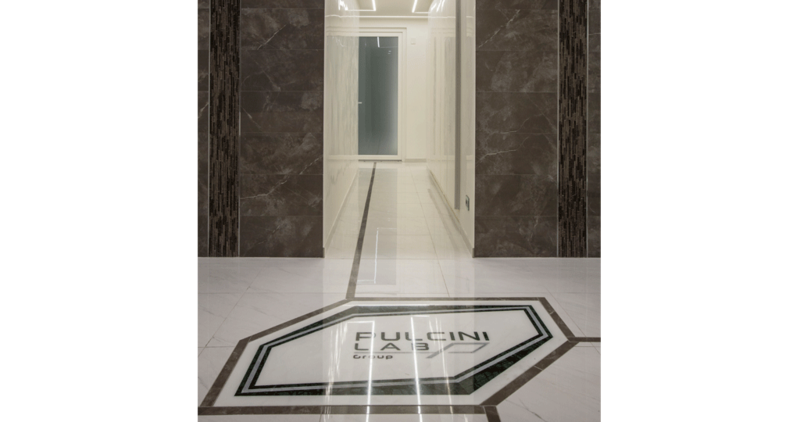 Its building systems provided the Pulcini Lab with innovative self-leveling crosshead systems, as well as grouting material for floor tiles: Colorstuk and Epotech Crystal. In addition, and to further embellish the ceramic finishes, the firm designed its technical and decorative profiling, specifically, the Pro-Part Brass Chrome model. 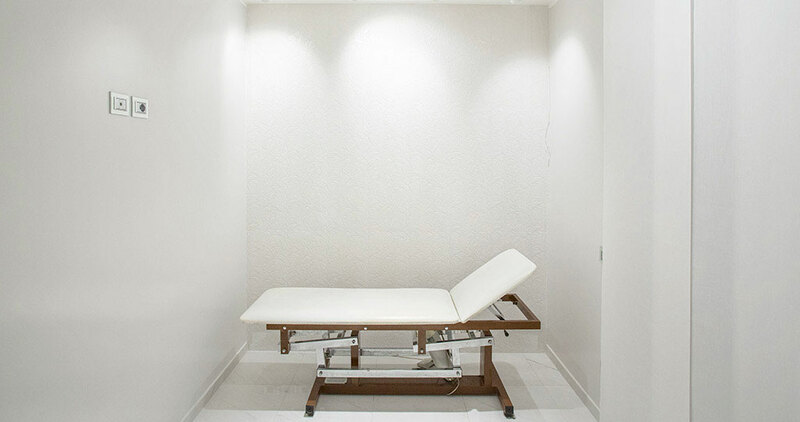 A unique design, with an emotional character capable of keeping the decorative peace and harmony that is required by a patient once inside a clinic.